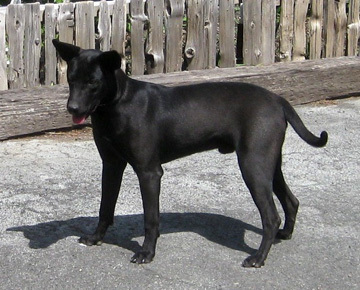 …3 coated and 3 hairless….. Very sweet personalities in the puppies and wonderful parents. I am having difficulty keeping up with my inquiries. If you have contacted me asking for a standard pup, please get back to me now and we can talk more. 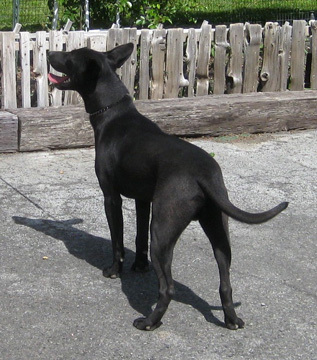 …In the past year we had a beautiful male hairless standard pup that showed great promise. As I watched his development I realized that his puppy hockiness might not correct itself enough for him to be a top winner. He went to a wonderful family in Vancouver, B.C., Canada. I am very proud to post photos of him with his BF Nick. In March they took a 3rd place ribbon at their first obedience class. 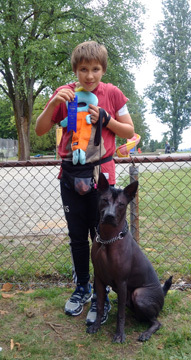 This past weekend they took big ONE–Obsidian and Nick got 1st place in their second obedience course! Let’s be proud of this young man and his Xolo!!! 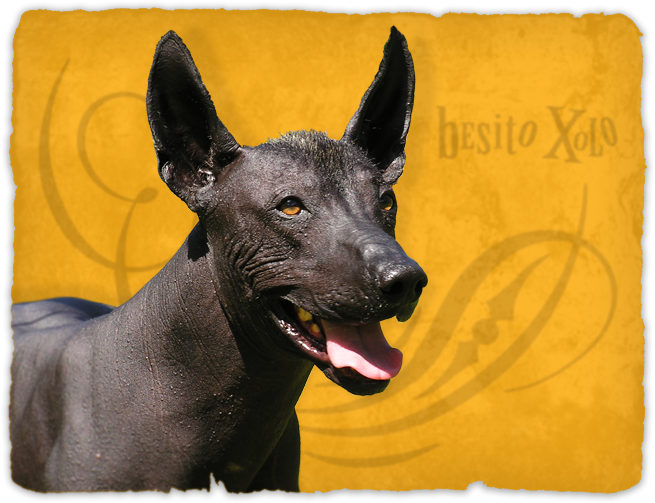 …absolutely lovely male standard coated Xoloitzcuintle. His name is Besitos Coal and he was sired by Besitos Yoreme (owned by Eva Voslarova of the Czech Rep.), out of Besitos Chiquihuite (owned by Jo Acton & Patty Hoover). …and view the photos of Alebrije and Mesquite that were born recently. Finally, I am able to come out of hibernation. It has been impossible for me to maintain my site and keep up with my emails for a long time. I am overjoyed that I now can set aside a little time each day and get this part of my life back. I love sharing photos with all of you. This is a photo of two adorable little female hairless xolos that are a few weeks old. They are from Mistli and Dakota. We’ve got a new look, that you’ll find easier to read on your mobile device of choice.